FIRE HAZARD ABATEMENT… DO YOUR PART TO PROTECT THE FOREST! 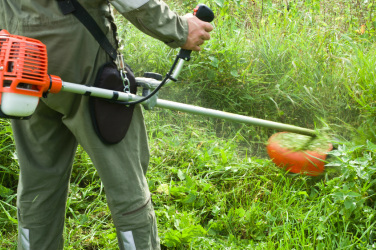 Are your weeds getting out of control? Do you have pine needles accumulating on your roof? It is that time of year again that we need to start clearing away all the brush that winter left behind. Do your part to help prevent forest fires! In Arrowhead Woods as in other forested areas, fuel load – the vegetation available to feed a wild fire – is always a threat, all year around. Houses are prime fuel, and there is not enough fire equipment on the mountain to protect all of the homes from a major wild fire. Home owners can lessen their risk and improve the chances for their residence to survive a wild fire by creating “defensible space” around it. In Arrowhead Woods and throughout the mountains, this means tree trimming, brush cutting, clearing roofs, decks and grounds. The “right roof” is essential. New construction or re-roofing in Arrowhead Woods requires the most fire resistant class “A” materials, such as clay or concrete tile, fibrous cement shake, metal tile or Fiberglass composition. Homeowners can reduce wildfire hazard by landscaping with fire resistant plants, thinning, creating distance between vegetation and buildings and pruning overhanging branches and bushy shrubs along access roads to provide passage for fire trucks and other emergency vehicles. 1. Grass and weeds mowed to four inches in height or less. 2. Tree trimmings to be removed completely. 3. Firewood stored out of doors to be stacked neatly. 4. Heavy brush thinned to eliminate dead branches and leaves. 5. Pine needles and leaves no more than two inches deep. 6. Flammable vegetation and pine needles cleared for 30 feet around all structures. If property slopes more than 15 percent, 100 feet clearance is required. 7. Vegetation and pine needles cleared for 10 feet from any road. 8. Removal of flammable refuse, including dead plants. 9. Removal of tree limbs over buildings or within 10 feet of chimney opening. A half-inch mesh chimney spark arrestor should be visible from the ground. 10. No flammable vegetation, leaves or pine needles on roofs. Conditions, covenants and restrictions on property in Arrowhead Woods call for tree trimming and removal to be approved by the Arrowhead Woods Architectural Committee. Tree trimming along the lake front must also be approved by the Arrowhead Lake Association. Tree work done without approval will result in damage assessment against the property owner. The Committee finds trimming solely to improve a view especially offensive. It is likely to approve tree trimming for fire hazard abatement; for clearing around a structure or chimney; to correct hazards such as dead wood or weak limbs or forks or corrections prescribed by a tree expert, such as sanitation of infection by fungus, mistletoe or other pest. Requests for approval a tree pruning, shaping, cutting or altering will result in a site visit by an AWAC inspector. The owner is sent written notice of the decision. For detailed information, call AWAC at 909-336-2755. If you need any phone numbers of local contractors and landscapers, just send me a email and I will provide that information right away! Previous PostPrevious What the heck is “ARROWHEAD WOODS” and what are LAKE RIGHTS?